Hustler invented the zero turn mower in 1964. 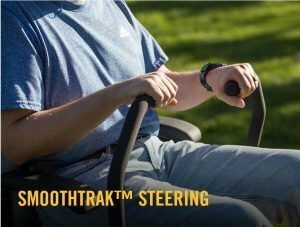 Today, they are still leading the way, with innovative features like the patented automatic parking brake, the patent pending QuickFlip™ technology, and SmoothTrac™ steering. The operator experience is second to none. Once you experience the smooth and precise handling of these units, you won’t be looking elsewhere. 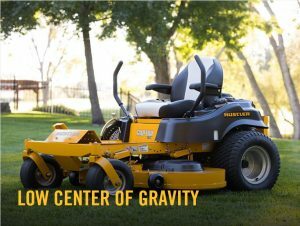 With a full range of residential and commercial zero turn mowers starting at just $2799, we have just the mower for you. It’s what makes driving a Hustler® a better experience. 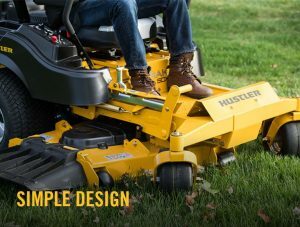 Hustler mowers have the smoothest and most precise steering. You’ll glide around obstacles and make zero-radius turns with ease. What’s more, the system has been designed to eliminate arm fatigue when mowing for longer periods of time. All Hustler decks are fabricated with heavy steel plate and reinforcement bars. 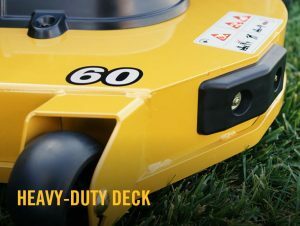 Hustler decks are engineered to provide a clean, finished cut every time, with even distribution of grass clippings. 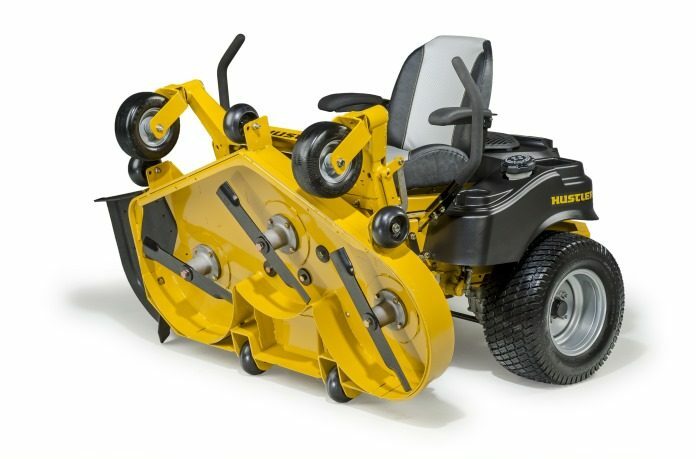 A reduced profile translates into greater ease in getting on and off the mower, and impressive handling and stability. You’ll be amazed at how well these mowers can cling to slopes. Visit www.hustlerturf.com for more info. 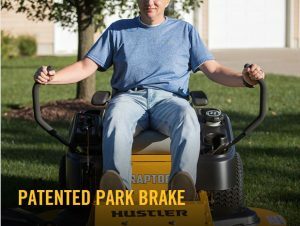 Hustler® Turf Equipment was born of a simple need for a riding mower that could maneuver the irregular landscape of the family home, complete with bird baths, gardens and winding front walkways. The first Hustler® mower was a compilation of mower parts and farm machinery, created by a genius named John Regier. Mr. Regier’s mower cut grass and steered like no other. It could hug a flagpole or reverse directions at a fence line, with a turning radius of zero. 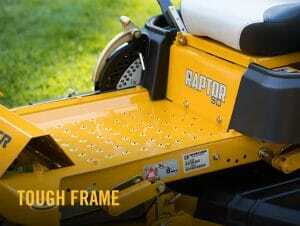 With this, the world’s first zero-turn mower was born. When Mr. Regier brought his design to tractor cab manufacturer Excel™ Industries, the timing was perfect. He couldn’t maintain the production demand on his own, and Excel™ was looking to expand its product line. 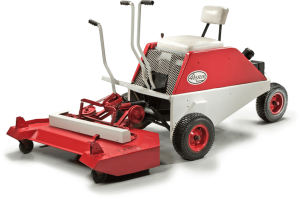 When the folks at Excel™ saw the mower in action, they knew they had a product that would revolutionize the mowing industry. Under the direction of company president Roy Mullet, Excel™ began production of Hustler® mowers at its plant in Hesston, Kansas, where they are still built today, with the same creativity and passion that launched the zero turn revolution more than 50 years ago.